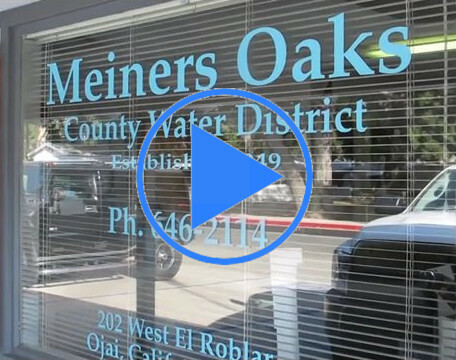 Meiners Oaks Water District (MOWD) received the President’s Special Acknowledgement Award for safety September 19, 2017. 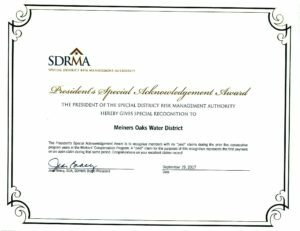 This award is granted by the Special District Risk Management Authority (SDRMA) to California Public Agencies that have had zero paid worker’s compensation claims in the prior five program years. 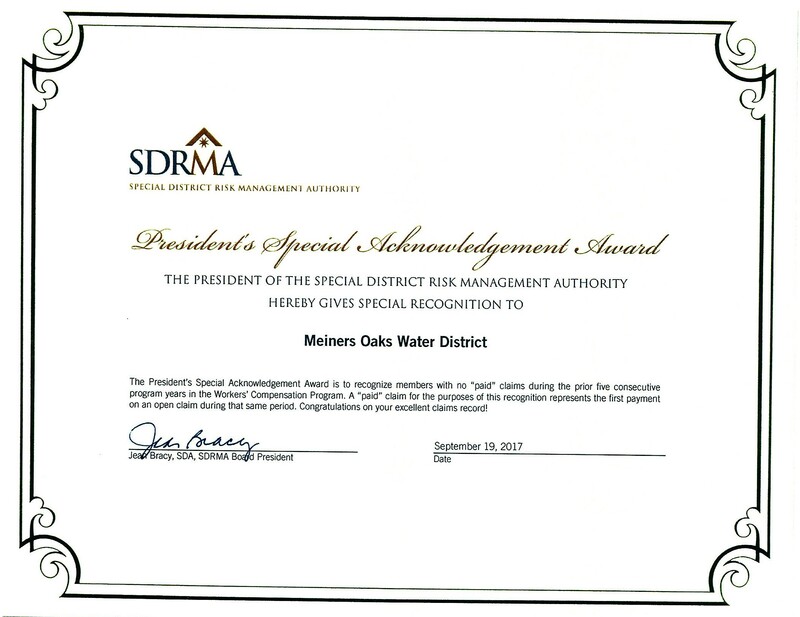 MOWD has received this award for two consecutive program terms, zero claims in 10 years! 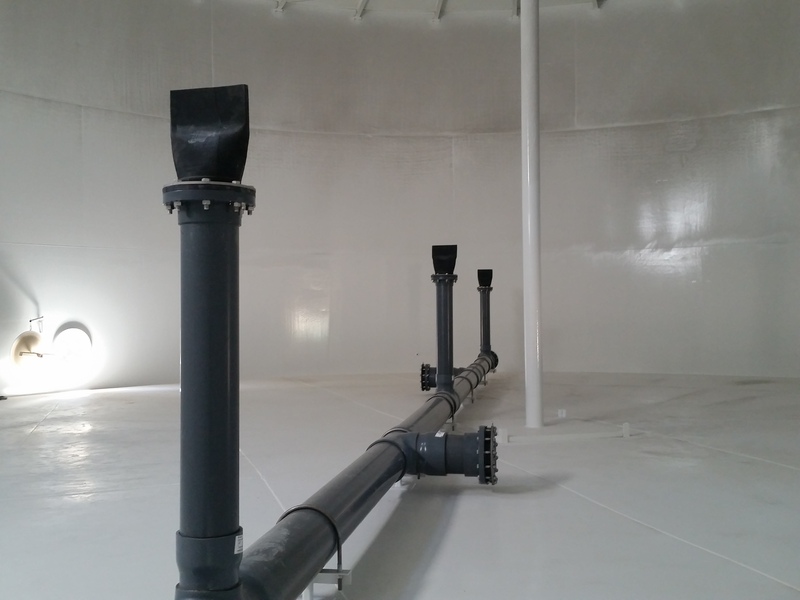 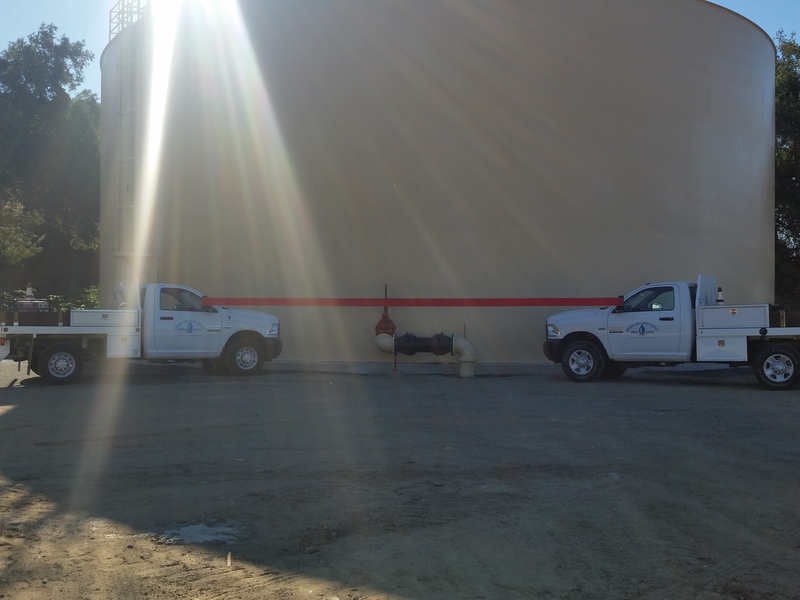 This excellent safety record results in a significant cost savings to the District.